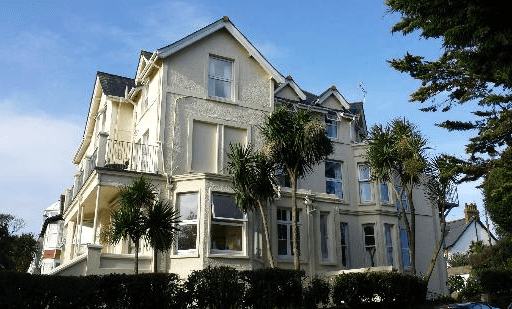 Set in a quiet area of Falmouth close to the beaches and town, the Lerryn Hotel has lots of character and provides the perfect location for a relaxing holiday. 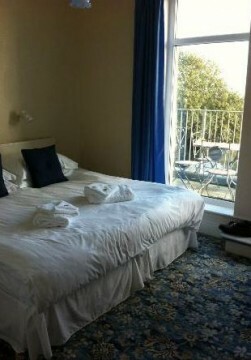 Many of our en-suite bedrooms overlook Falmouth Bay, whilst two ground floor rooms provide for less able guests. For guests in wheelchairs or mobility vehicles, we have ramped access via our car park. One ground floor room has full accessibility. The menus offer a variety of choices with food prepared by our trained chef who also caters for vegetarians, and other special dietary requirements. Rooms are centrally heated, with television and drinks making facilities. We are a no smoking establishment. Car parking is available on site.